Gowan is a name that has become synonymous with quality decorative ironwork for generations of Montgomerians. Gowan Iron is central Alabama’s oldest decorative metal company. Gowan Iron’s reputation is a product of our late founder’s love for his craft. A. R. Gowan (1912 – 1998) passed this passion for metal, not only to a second and a third generation of the family but, to an entire community. The loss of our founder was tempered by the realization that his work will beautify our city for centuries. The president of Gowan Iron since 1988 has been James (Jimmy) R. Gowan. Jimmy has been with the company since its founding and is the torchbearer of it's accumulated knowledge. 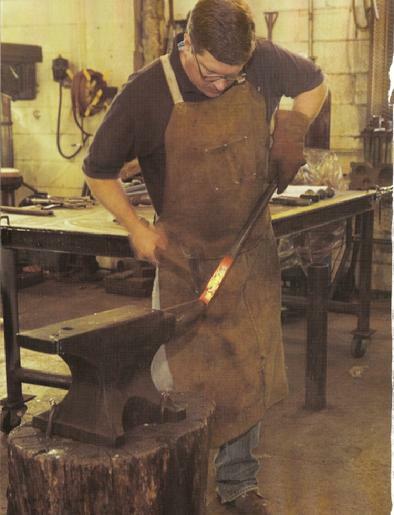 Jimmy’s impact on the company as been immeasurable, from the introduction of blacksmithing (no horse-shoeing), strong values, company growth, and the preparation and training of the third generation’s entrance into the company. Gowan Iron has a great history and reputation but we know the company can not rest on those laurels, it must build from them. James (Jim) J. Gowan is whose shoulders that task has fallen. A strong admiration for the decorative arts has given Jim the direction in which to focus the company. Jim has focused on the importance of design, craft, and art in construction of Gowan Iron products. To get a better feel for Gowan Iron view this streaming video. A recent program on Alabama Public Television that features a 5 minute segment on Gowan Iron. The Gowan Iron segment starts at the 18 minute mark.